The Edmonton Police Service needs the public’s help in locating a 65-year-old woman who has not been seen since Sunday, May 13, 2012 at approximately 9 a.m. The EPS is concerned for Makie’s welfare because she requires medication. 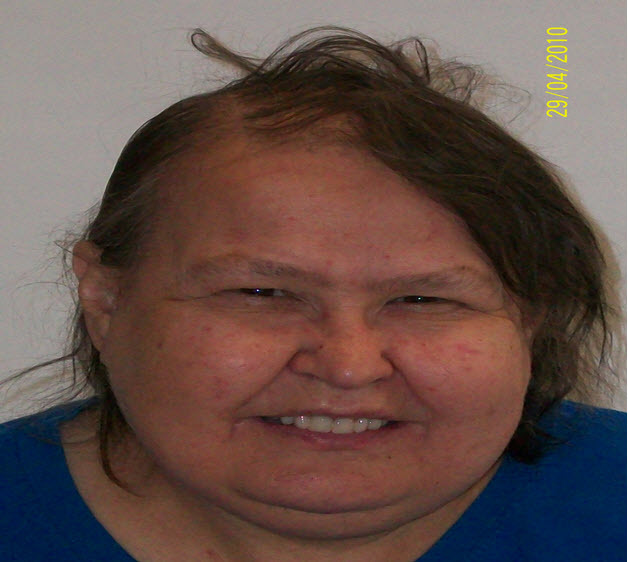 Lillian Makie was last seen leaving the Salvation Army Addictions and Residential Centre at 9304-103A Ave. Her disappearance is out of character and she has always returned to the Centre. She is Aboriginal, 5’4” tall, weighs 170 lbs., has brown eyes and shoulder-length black hair. She was last seen wearing jeans and a white T-shirt, and may have been carrying a recyclable-type grocery bag. She may be using a bus to get around and frequents Northgate Mall. She could also be on foot in the area surrounding the mall. If you have any information regarding her whereabouts please call the EPS complaint line at 780-423-4567 immediately. Please contact Patrycia Thenu at (780) 421-2663 for more information.